It’s Time D-Heads! 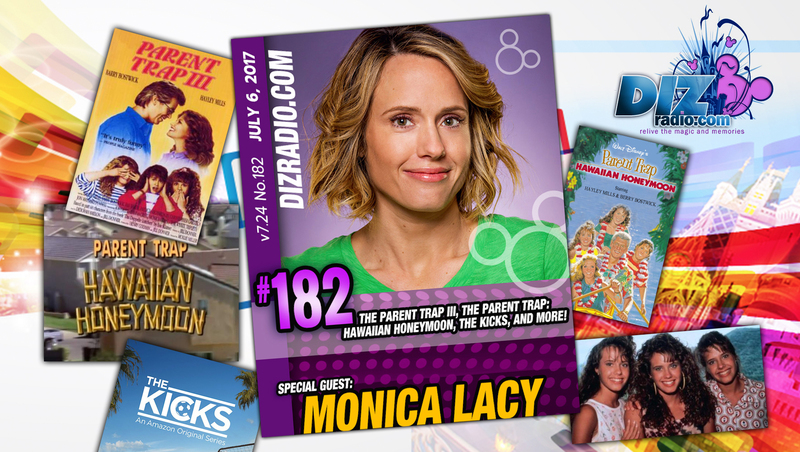 This week we have triple the fun and hijinx as we welcome MONICA LACY (The Parent Trap III, The Parent Trap Hawaiian Honeymoon, The Kicks, Seinfeld and more) to the show! Monica stops in and talks about what it was like working on these classic Disney made for Television movies, working with her sisters, being a triplet, current work, memories of Johnny Carson and more! In addition no show is complete without the D-Team and Domenic stops in with his Disney Short Leash to give you some tips and tricks for a quick Disney World Trip, and you ask the questions and Erin has the answers in I Want To Know! We have Paige fresh off of work from the Walt Disney World Resort with a symphony for your ears in the Magical Music Review, and Randy is here with the latest in Disney Multi-Media. There is news fresh off the D-Wire with the latest news about the The Magic Kingdom, Epcot, Disney Channel, Descendants, Pirates of the Caribbean, Top Rated Disney Parks, Stuck in the Middle, Disney XD, Spider-Man, Star Wars, Forces of Destiny, Marvel Gaming, Animal Kingdom and so much more!